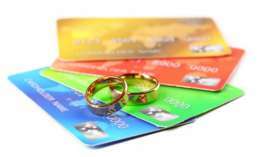 Beware of matrimonial scams! Be vigilant before getting entangled in the threads of holy matrimony! From the conventional methods of looking for a suitable matrimonial match through word-of-mouth, multiple visits, rounds of exchange of letters and the like; to seeking one’s perfect match by the click of a mouse, we have come a long way! The widespread reach of the Internet and the convenience that it provides in networking has been a boon for families looking for a suitable partner for their progeny. However, the boon can transform into a bane if one falls prey to some notorious segments of the society who use such platforms to cheat innocent people through matrimonial scams. There has been an increase in the number of portals which provide misleading information under the pretext of offering matrimonial connections and dating services. Such activities are a punishable offense under Section 66D of the Information Technology Act, 2000. They befriend such victims by taking advantage of their solitude, following which they demand money for clearance of custom of expensive gifts, conversion charges for foreign currency, treatment of family members, business needs, and various other pretexts. If you or your kin have been a victim of such a scam, or suspect one, you can reach out to us. We offer consultation and conduct exhaustive investigations to help law enforcement agencies nab the perpetrators.